Most bands, if they’re any good (and some that aren’t so good), take a while to get their sound down pat and start attracting local attention. This whole process can drag on longer if the band decides to tour and is trying to get signed. It’s a process that sometimes can drag out for years, depending on the band’s situation. In the case of San Francisco’s Deafheaven, the exact opposite is true, because within a year of them forming, they’ve already released a well received demo, got signed to a decent independent label and have been able to tour nationally. These unexpected twists and turns are quite surprising for a project that just started out as a way to slake its creators thirst for new sounds. “We were all in a bunch of different bands and they all started to get a little stagnant. We then decided to go full throttle with this project and come up with a more expansive sound,” said vocalist George Clarke, who along with guitarist Kerry McCoy, form the core of Deafheaven. It started off innocently enough, the duo recorded a demo and sent it out to a bunch of influential blogs, said demo received all types of praise, which eventually lead to the formation of a full on band, which included bassist Derek Prine, guitarist Nick Bassett of shoegaze band Whirr and drummer Trevor Deschryver of funeral doom band Lycus (Bassett isn’t touring with them due his commitments to Whirr. In his place, Gary Bettencourt who fronts a one man crusty/d-beat project called Black Monolith handles second guitar duty. ), and them getting signed to Deathwish records, which is the label co-owned by Converge’s Jake Bannon. Add a buzz building set at the SXSW music fest, and the recording of a full length record, “Roads To Judah”, which was released this past April and you have a band that is living at an accelerated rate. Before we get too far ahead of ourselves, let’s talk about the band’s sound. Deafheaven merges the savagery of black metal, with some of the lush atmospheres of post rock and shoegaze, while blending in a little screamo into the mix. It’s a genre defying sound, which really doesn’t fall into one easy category. And they want it that way, just as long as you don’t use the dreaded “bm” tag around them. “We don’t consider ourselves a black metal band because we have a lot more going on to be considered just that,” said Clarke. This expansive sound is on full display on their debut “Roads To Judah” which was released this past April. Though there might be a little confusion as to whether this is a spiritual record, the Judah mentioned in the title is a reference for to N Judah line which ran by the duo’s house in San Francisco. Clarke said he would come up with a lot of ideas for the band while riding this train into work. Thematically, the record deals with personal themes that were affecting its creator at the time of writing. It must have been a hellacious time, because the music actually burns with a cleansing fire, like he is purging these things from his life. While there are passages of shoegaze like atmosphere, the album's four tracks are mostly dominated by a savage black metal-influenced assault. There are the atmospheric parts, which reference shoegaze and post-metal, but they add depth to the sound, instead of overwhelming it. This is one angry, blasting record. They’re like an angry urban version of Wolves In The Throne Room, who deal less in nature worship issues, than with the pitfalls of living in a major city and the stress that goes along with that. “We wanted to utilize all our backgrounds to create emotion on a large scale. This means using sounds that are not just metal,” Clarke said. For now, the band is thrilled to be touring behind the new record and has plans to tour for it throughout the year. 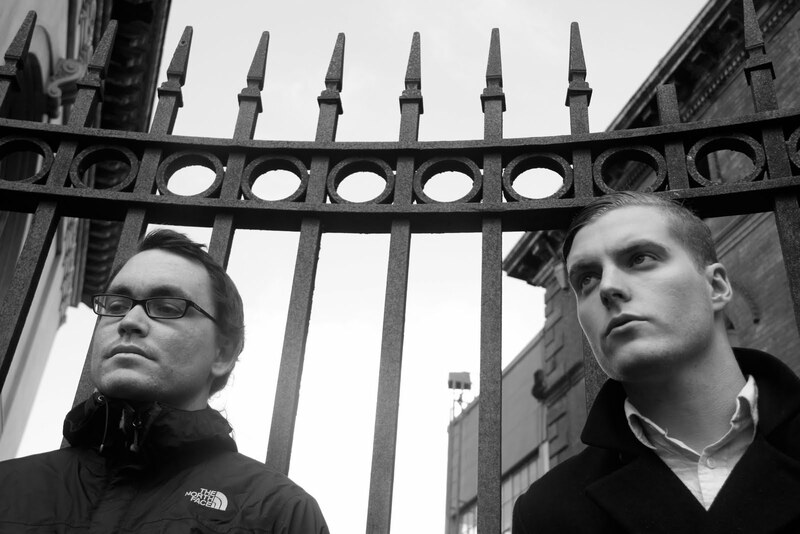 But it might be a while before you anymore new Deafheaven material. Different members of the band are involved with other projects. In fact, Clarke said that Deafhaven is just one of the many things the guys in the band are involved with. For example, Bassett is busy getting ready the Whirr debut disc for Tee Pee Records. Deschryver has the Lycus project to work on and Bettencourt has Black Monolith. But that doesn’t mean they don’t enjoy their time with Deafheaven. “We are definitely happy with the way the record has been received. We were not expecting it at all. Right now we’re just enjoying the tour and all that is coming to us because of it,” Clarke said.